One of the world's most quintessential island holiday destinations, Hawaii is a blissful retreat from the mundane, offering a rich and colourful experience. The American state is home to just over 1.4 million people, most of which live on Oahu, the island that also houses the capital city of Honolulu. Odds are, when you fly into this tropical paradise, you'll be landing at the hub of Honolulu International, which also serves the eight other major islands, including Kauai, Maui and the Big Island. 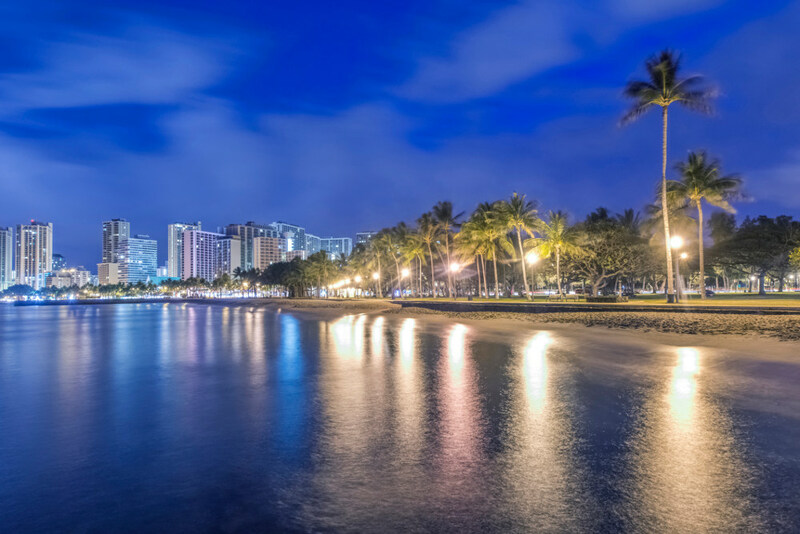 While you'll undoubtedly be itching to explore the far reaches of this wonderful archipelago, make some time to first experience Honolulu. Rather than the usual top tourist sites however, the reason we love this city is for all its unexpected, off-the-grid attractions, as well as the welcoming Aloha way of life. Here are two ways that you can tap into the local culture in Honolulu. When you first think of Honolulu, you'll probably envision something along the lines of endless waves crashing upon the golden sands, as well as salty-haired surfers and rainbow-coloured cocktails. Although you'll find all of this at the stunning Outrigger Waikiki, there's a lot more to the city. Culture vultures will be pleased to find an excellent array of treasures at the Honolulu Museum of Art, where you can take shelter from the sun whilst walking halls that hold pieces from both Hawaii and around the world. With the diversity of the collections, you can lose yourself in a Georgia O'Keeffe painting or marvel at Hawaiian artefacts thousands of years old. The museum also has an artists' residence in Spalding House where you can meet local talent, as well as an art house cinema, the Doris Duke theatre. The museum is open every day of the week except Monday, and is located opposite Thomas Square, about 15 minutes' drive from Waikiki. For an injection of contemporary flair, head down to one of the local artistic haunts in the hip Downtown area: The Arts at Marks Garage. With fresh, edgy exhibitions, this community arts centre is the place to go if you want to discover what's happening in the Honolulu arts scene, displaying anything from sculpture to watercolours. They say you should try to immerse yourself in the local culture when visiting a foreign country. There are few ways to better achieve this than by eating how the locals do. If you're after a taste of authentic Hawaii, head on down to the aptly named Goofy Cafe. The menu at this charming surfer's cafe is a delightful mix of traditional and modern favourites, all made from locally-sourced, organic produce. It doesn't get much fresher than the poke (a sashimi-type, raw fish salad), and the Kahuku shrimp plate. La Mariana Sailing Club is an old-time favourite, but you'll need some insider knowledge to find it. This beloved tiki bar is a throwback to the old Hawaii, with a proud heritage stretching back to 1957 and its charismatic founder, Annette La Mariana Nahinu. La Mariana has the perfect perch right on the waterfront down by the Ke'ehi Harbour. The classic decor, with wooden masks, palm trees and lanterns, along with the live music all take you on a journey back 50 years. The restaurant serves tasty Hawaiian fare, and the bar is renowned for mixing up some of the best cocktails in the city – the Mai Tai and Zombie varieties come highly recommended.